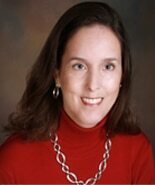 Ms. Brazeale focuses her practice on civil litigation, bankruptcy, banking law, and real estate law. She grew up in Ozark, Missouri, and is a 1994 graduate of the University of Missouri-Columbia. She earned two law degrees (J.D. and L.L.M) in 1997 from Cornell University in Ithaca, New York. Ms. Brazeale was a law clerk at the Missouri Court of Appeals, and later practiced law at a large law firm in Kansas City before moving back to southwest Missouri and setting up her law practice in Branson. Ms. Brazeale has handled a variety of complex civil litigation matters, including eminent domain cases, mortgage fraud litigation, and sophisticated banking litigation. She has extensive experience in bankruptcy law, representing both debtors and creditors in bankruptcy court. She is also currently the Village Attorney for the Village of Indian Point, Missouri. Ms. Brazeale is licensed to practice law in Missouri, Kansas, and the federal courts of both states.